Bringing proven and innovative methods to security program development for any environment. Building a strong security program starts with an overall definition of security in your organization. Our expert team has decades of experience in practical security development. 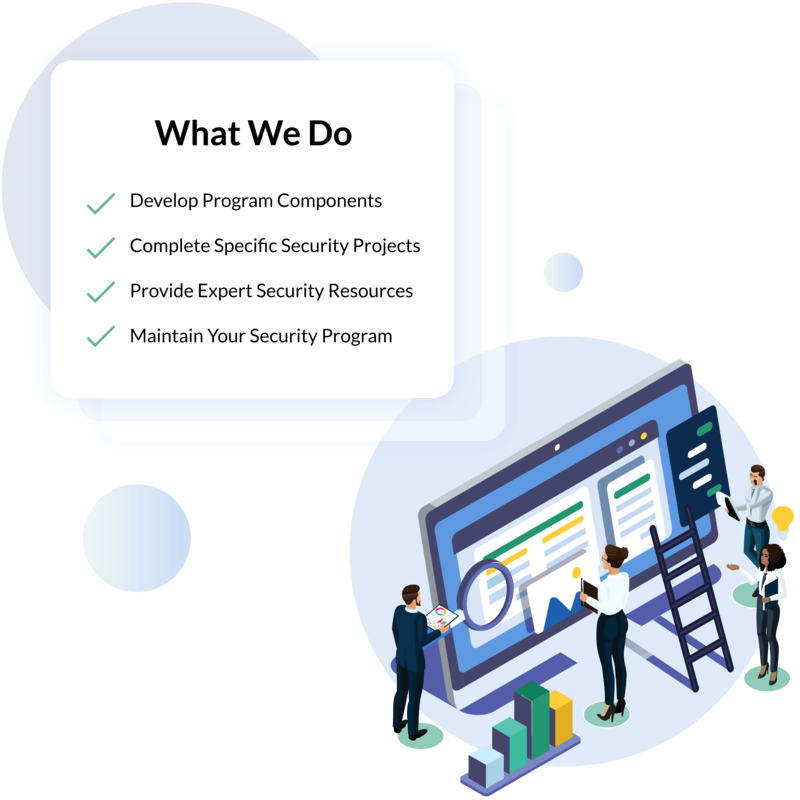 We support you identify gaps and remediate projects for your existing security program, or we can help you create a program that works well for your business. Our team can help your organization stay on top of the rapidly changing information security landscape and develop a program that actually works. Assess your existing security program against best practice frameworks such as NIST 800-53 and ISO 27001. Recommendations are made based on any gaps or improvements to be made in the security program based on the chosen frameworks. 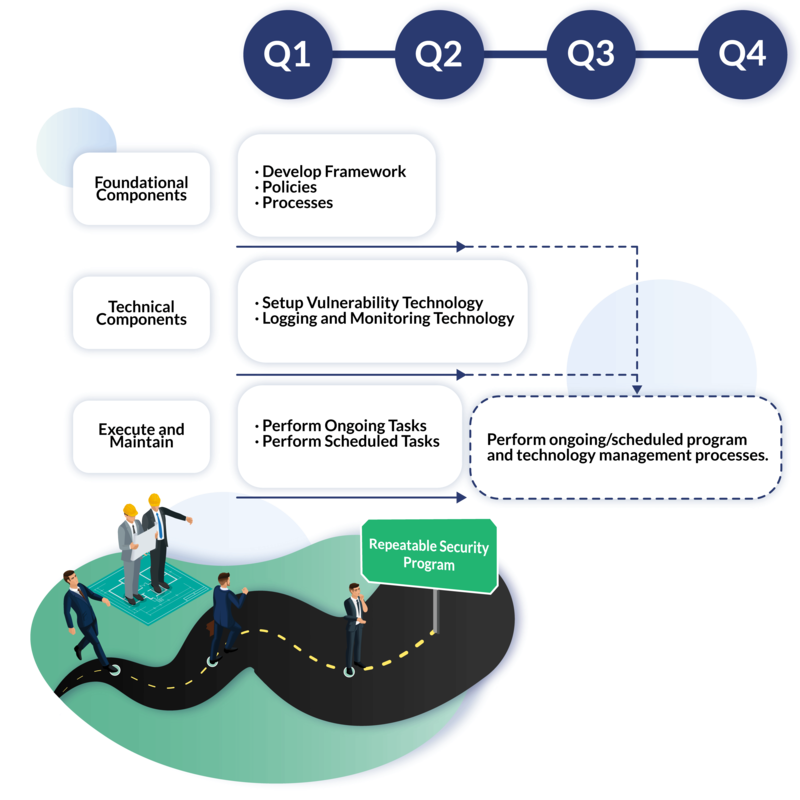 Once you've completed your security program assessment, a roadmap with related findings and recommendations will be completed. The identified security projects are mapped to the appropriate framework requirements to ensure compliance. Once you've received your custom roadmap, build or improve your security program with your in-house team. If you don't have your in-house security resources or expertise, this option is right for you. Outsource your development and implementation to our expert security team. We'll put together the different parts of your security program components. Build a customized security program based on a proven development methodology. 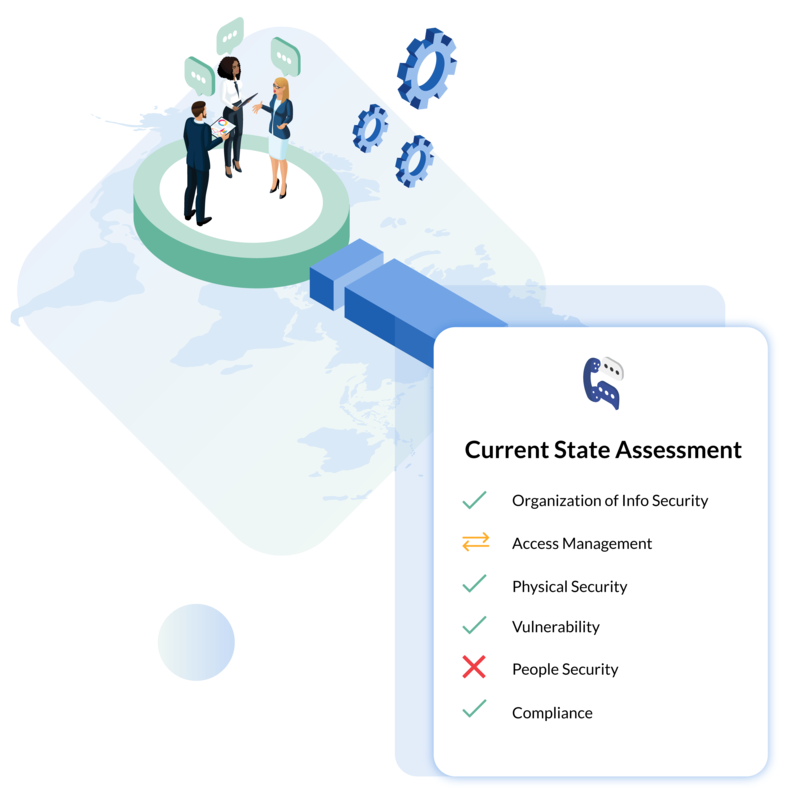 Access our team of industry experts to shape your organization's security environment with streamlined process development and self-sustainability. Our dedicated security resources operate with a proven and well-defined methodology. Our efficient approach balances your business needs to quickly build an effective security program. As your organization continues to grow, our security resources are available on-demand for provide additional support in a cost-effective manner without having to bring on additional resources. Perform your security processes correctly and in a timely manner. This dedication to security will help you create a durable reputation with your customers, business partners, and potential investors.